Unless you’ve been living under a rock, you’ve probably noticed the oil phenomenon sweeping the beauty world. From face washes to hair treatments, there’s an oil-based concoction available for almost every beauty need you can think of. 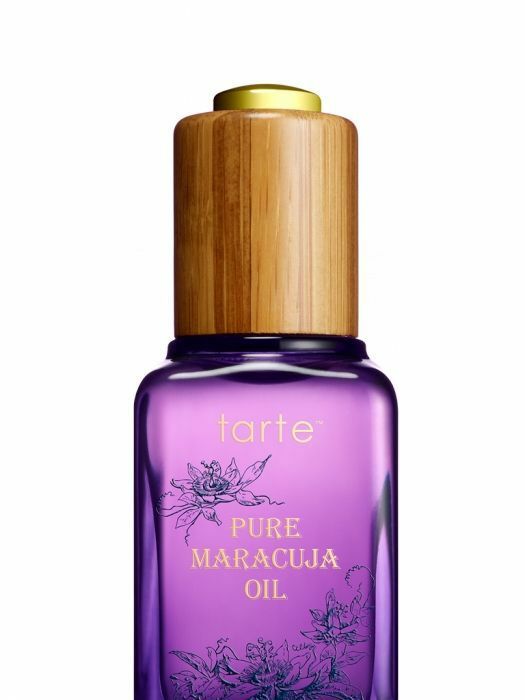 But while there’s been no shortage of prestige face oils—from Rodin’s cult Luxury Face Oil ($150) to Tarte’s brightening Marcuja Oil ($46)—they’re only now arriving in drugstores. If you’re still feeling squeamish about putting oil on your face, don’t. The right formula works for more than just dry or mature skin, even oily skin can benefit from the anti-aging boost and nurturing hydration of some oils. In fact, oil is absorbed into skin better than water-based products, which means the good-for-your-skin ingredients penetrate deeper and have a better chance of doing what they promise. 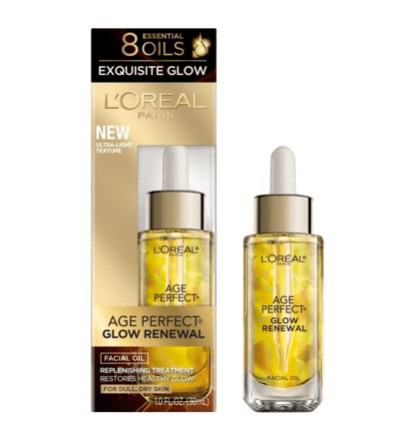 The first to arrive, L’Oreal’s Age Perfect Hydra-Nutritional Glow Renewal ($25), is a glow-inducing, moisturizing, and anti-aging mix of eight essential oils. 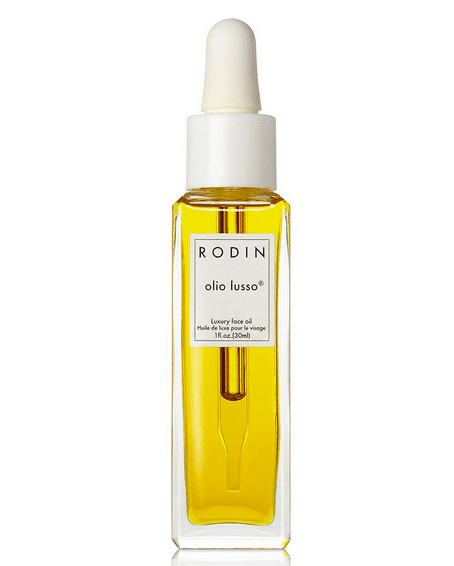 Think of it as an entry-level oil to replace (or layer under) your P.M. moisturizer: it’s incredibly light and has a non-greasy, dry texture. Warm a few drops in your hands and massage into your face. It soaks in quickly and leaves behind a dewy radiance and a light, herbal scent, thanks to English lavender and rosemary. 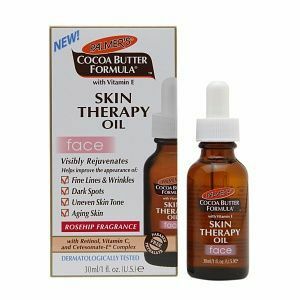 The latest arrival— Palmer’s Cocoa Butter Formula’s Skin Therapy Oil Face ($10)—is also the richest. The intensely-moisturizing formula launched last month, a blend of 10 different oils, including coconut, almond and argan. It has vitamin C to brighten and anti-oxidants to fight free radicals, but the most exciting part is the addition of retinol, the powerhouse anti-ager. 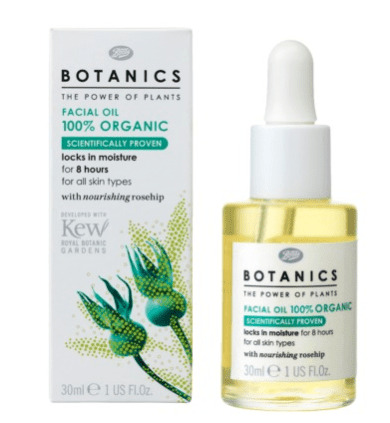 Or you can look to a mass market import: British brand Boots Botanics’ 100-percent organic Facial Oil ($9) is available online and in select stores stateside. It has a similar texture to L’Oreal’s, and is also packed with brightening and anti-aging ingredients like lemon peel, bergamot, and sweet almond oil. The floodgates have been opened—and we can’t wait to see what the next wave brings.